So January came and went…and so did your New Years Resolutions. You are not alone! Losing weight, eating healthier and getting fit are the top New Years Resolutions in the UK. Two thirds of people who commit to a resolution give up within a month or less! Of the people who set themselves goals around eating healthier, losing weight or exercising more, only about 1% actually achieve what they say they will?! I’ve been writing the fifth module of my Success Programme today and it has inspired the topic of this blog: overcoming challenges to your success. We’ve all heard that saying right? “Fail to prepare, prepare to fail”. I use it quite a lot with my clients because it is sooo true! My goal for 2017 is to lose my baby weight and fit back into my old clothes again (I had little Jenson in October 2016). I’ve had a really bad week with my nutrition this last week. It happens to us all doesn’t it? Certain things have happened that made me feel low. I left things to chance. I didn’t have my meals prepped, I had a ton of appointments for myself and little Jenson and I didn’t have spare time scheduled to spend on me. These are excuses, but I hold my hand up and admit that. If I had been more PREPARED, I could have handled the rock of the boat and not slipped into emotional eating. I was winging it last week…..and quite simply, that does not work if you want to be successful with the goals you set yourself. Even as a health coach and experienced behaviour change practitioner, I am not immune to bad patches! I had a lapse. Now I had a decision, was I going to completely give up?? Or pull my act together and get back on the road to success? Here are my top tips for dealing with lapses and getting back on track. It’s easy to feel like we have let ourselves and everyone else down when we don’t achieve something we really want. Negative feelings around guilt and shame keep us in a downward spiral and contribute to more of the behaviours we are trying to avoid (hello big fat piece of cake to make me feel better!). The thing is, it ends up making you feel even worse. Just tell yourself it’s ok to make a mistake. Accept it instead of trying to hide it. none is perfect, none succeeds the first time they try at everything. STOP BEING SO HARD ON YOURSELF. Going off track is a perfectly normal part of the cycle of change. Its how you respond to it that defines whether you can turn it around and be successful. What happened? Why did it happen? How did it make you feel? What thoughts and feelings did you have before, during and after? Don’t just brush the incident aside as if it never happened. This leads to completely throwing the towel in and will ultimately result in a negative impact on what you are trying to change. The greatest learning comes from analysing our mistakes. You can use what you’ve learnt to get further next time you try. 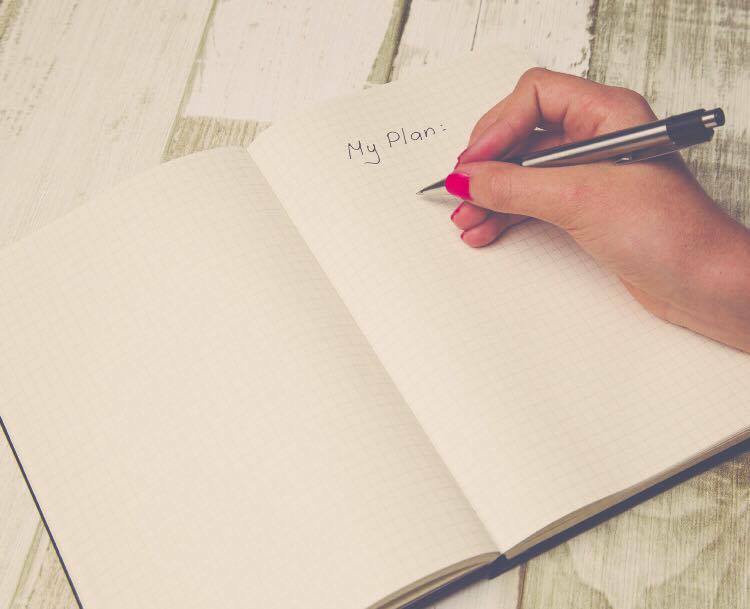 Once you’ve identified why things went wrong, you can put a plan in place to make sure that it doesn’t happen the next time you try to reach for your goals. Going it alone can be very hard. Look at it like a mission where you need to enlist the help of others to help you, as well as carefully plan how you will get to the end. As well as preparing for success, you need to prepare for what could go wrong to be able to overcome challenges. Studies show that the person who actually achieves weight loss and transition into a healthier lifestyle is the person who connected into some form of accountability program. Having to answer to another person for your actions motivates you to stay on track with your goals. I get my clients to send me before and after pictures and measurements because it helps keep them accountable to me. I also provide a large support network in the form of an online support group because the ladies then feel accountable to the other women all trying to achieve the same goals, as well as to me. Every time you attempt to reach a goal, you get further than you did last time. You learn something new, you learn about what works and what doesn’t work for YOU. The more you know yourself, the more likely you will achieve the goals you set yourself. Download my FREE FITNESS PLANNER to help you get prepared with your goals! If you are interested in my affordable online coaching package which is based on the psychology of achieving goals in health, fitness and weight loss, find more information HERE. ← Are You Making These Top Weight Loss Mistakes?